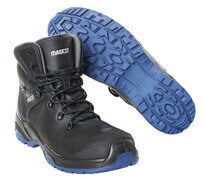 Safety boots from MASCOT are created for professionals who want warmth for their feet or who prefer a higher shaft around the ankles. 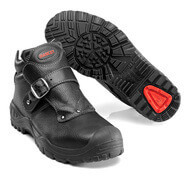 Safety boots provide better protection and support around the ankles than low-cut safety shoes, which is beneficial if there is a high risk of twisting your ankles at work. 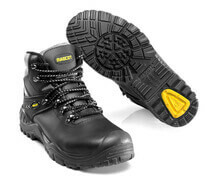 MASCOT produces safety boots that are certified according to the European safety footwear standards, and you can find safety boots with the appropriate certifications for your needs within MASCOT’s assortment. 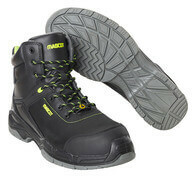 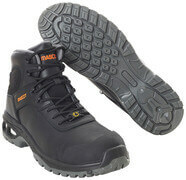 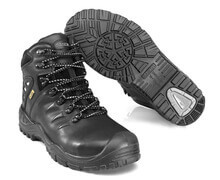 You can find safety boots with short shafts as well as long shafts that are comfortable to wear at low temperatures. 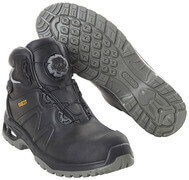 All of them feature ergonomically formed toe caps that provide certified protection against heavy objects falling on your toes, as well as midsoles that protect your feet against sharp objects from underneath. 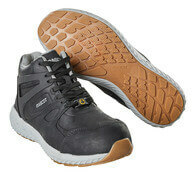 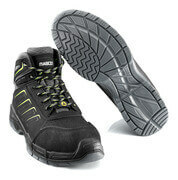 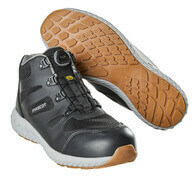 They also have shock-absorbing soles that reduce the shocks you get during hard physical work. 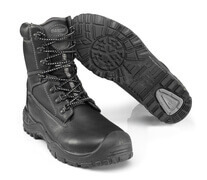 Furthermore, they are made of durable materials that make them last and contribute to a comfortable fit, which makes wearing the boots every day for many hours really comfortable. 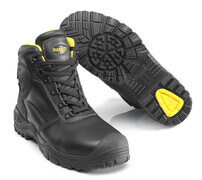 MASCOT produces safety boots for outdoor work that are either 100% waterproof or water-repellent and with an insulated lining. 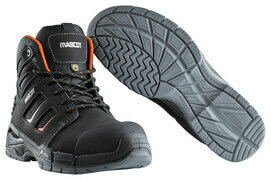 You can also find footwear of lighter materials for indoor work, in the MASCOT assortment. 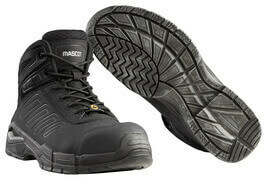 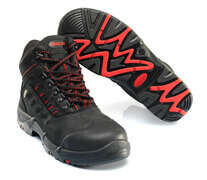 Use the product search to find the safety footwear that matches your needs.